A leading-edge fusion of eight distinct traits sets us apart. From the beginning, our goal was to build a firm that combined characteristics executives told us they wanted to see in a professional executive services firm. We heard clear preferences for services provided by senior professionals rather than junior staff, for solutions that are tailored to their specific challenges, for ways to assure they receive the end value they want to see, and for engagements to be cost effective. As a result, we apply a leading-edge fusion of eight distinct traits that make us a better way to resolve challenges and realize value. All our partners are former enterprise CFOs, and all bring the real-world financial leadership and authoritative financial expertise expected of a C-level executive. Astonishingly, not all professionals at firms providing CFO services have experience as former chief financial officers. We provide value measures for you to measure engagement progress, correct solutions and a high-level blend of critical and creative thinking. If there were a plug-in to grow value in your business, it would function like a CFO Edge partner in action. Our first and foremost priority is listening to fully understand your value spectrum – the types of tangible, intangible, future and personal value you seek as target outcomes. Every company seeks a unique combination of value outcomes based on their offerings, strategy, challenges, goals, culture and market. With thorough understanding of the value you want to see, we team with you to develop efficient and cost-effective solutions. With clear understanding of your targeted value, we create a roadmap of actions needed to realize it. Accompanying the roadmap is a value measurement tool you use to progressively monitor, measure and manage our collaborative work toward goals. You can see where the engagement is on track and identify areas that require discussion. The value measurement tool provides assurance that you are seeing progress as it occurs and are in control of value outcomes. Not all financial and operational solutions are created equal. A core premise of our work is that there are correct solutions that are significantly better than workable – but shortsighted – fixes. Building on proven frameworks that speed time-to-value, we apply eight best-practice benchmarks as we tailor solutions to your specific needs. This means that our solutions are more robust, more fully integrated, ready for future needs and more cost-effective. We bring strategic financial leadership and authoritative financial expertise earned as CFOs at companies ranging from startups to billion-dollar global public companies. We have successfully delivered services and solutions at scales and scopes not matched by others. From completing mergers and IPOs to moving companies to new business models that deliver exponential growth, we know how to increase profitability, growth and shareholder value – and want to do the same with you. With early acquisition of technical accounting skills at CPA firms, public companies and private companies, we are well-versed in GAAP accounting, tax and regulatory standards. 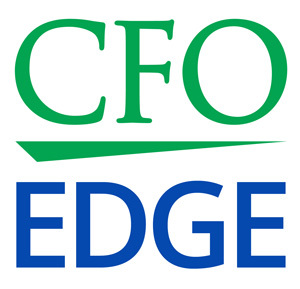 We bring financial leadership and operational expertise earned as enterprise CFOs. Leveraging rock-solid core finance talents, we apply fresh insights to build innovative solutions. Our fusion of critical and creative thinking means you realize added value in many areas. With many pressing tasks to address, executives are challenged to find time to think big-picture and plan long-term. A key goal for our work is to equip you with solutions that incorporate high-level and forward-looking views of your organization. This proactive approach delivers solution flexibility and reporting that provides clear, actionable information. We want you and your team to be playing chess – thinking ten steps ahead – while competitors are playing checkers. We work best with executives who are leading growing companies and have pressing high-value financial or operational challenges that are hindering goal completion. Challenges may have many moving and interdependent parts that required authoritative expertise. Recognizing that costs and risks of the challenges continue to accrue, executives need specific, cost-effective expertise for a defined period and do not want or need to hire a full-time CFO. Unlike many companies, all our firm members are partners with proven track records as former enterprise CFOs. We do not have junior staff, and this means that you are continuously connected with an experienced partner who is your day-to-day contact person and works hands-on with you and your team. You benefit from working with senior financial experts and enjoy faster, more authoritative responses to your requests and for your projects.